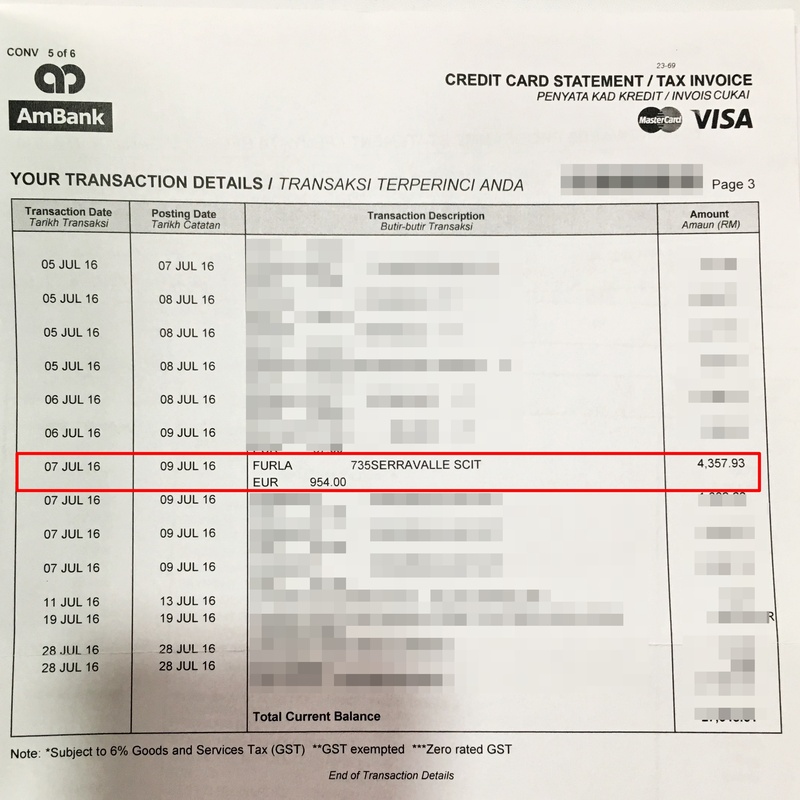 HomeTravel Tips(QUESTION) Should I choose Foreign or Home Currency when paying with credit card in overseas? Almost everyone owns a credit card and when we travel overseas, paying with credit card is our preferred choice. Traveling with cash is risky especially in places like Paris, Rome, Bangkok where pickpockets are quite rampant. Moreover, we are able to earn air miles points that can be redeem for First or Business Class air ticket. Related: 2017 Top 10 Travel Credit Cards to Apply for Malaysians. Though the statement is true but they did not disclose the whole picture to you! Read On. 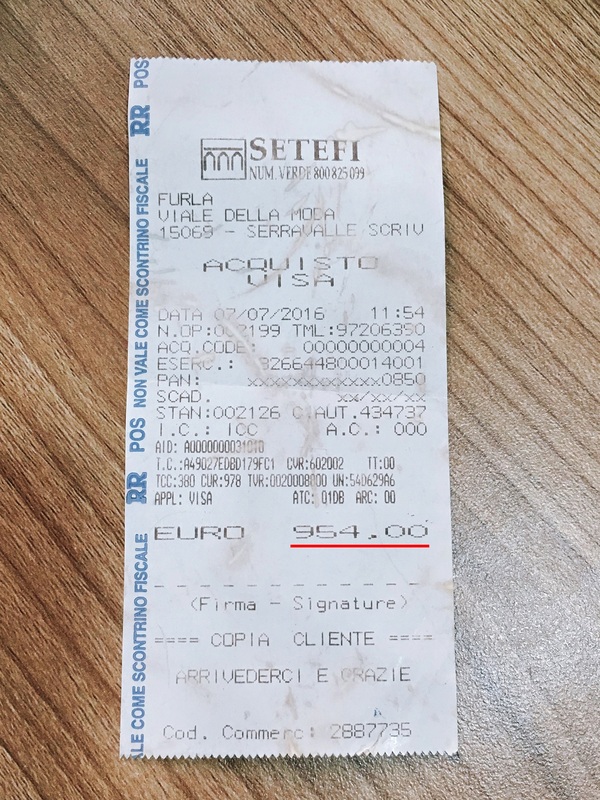 During our trip to Italy, I was given a slip instead of showing the amount from card machine so I took a photo for comparison. 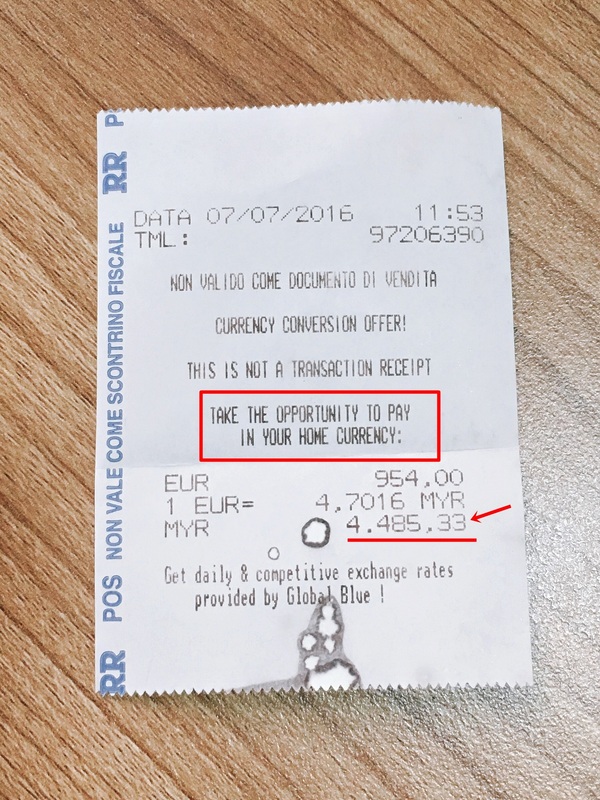 If I had chosen to pay in MYR instead of Euro, I will end up paying extra RM127.40 while for a simple question, the retailer earned extra 3% commission. This feature is known as Dynamic Currency Converter. The exchange rate is determined by the relevant merchant at the point of purchase which is usually higher than the foreign currency exchange rate. Dynamic Currency Converter is not a scam but a service offered to customers who wishes to pay in home currency. As long as you are aware and accept this, it is fine. However we encountered several occation where the cashier did not inform us the choice and automatically made us to pay in home currency for the sake of extra commission. That is cheating. A statement from Visa Malaysia states that it is our right to reject DCC offer but if after rejecting & still see DCC transaction in the bill, you should ask your issuing bank to contest the charge. If you find this article useful, SHARE to your friends & family members. Also dont forget to LIKE Our Facebook, Follow My Instagram and Sign Up Our Email Newsletter to receive more travel tips & latest travel promotion. Shucks!! i always pay in home currency! dang! Yup, always best to pay in the local currency. When you pay in your home currency they always charge a higher commission than a standard bank exchange margin.